Click here for: "An Interview with Walter Last - The Walter Last Story"
Walter Last combines the training and work experience of Research Chemist, Biochemist and Toxicologist with that of Pacticing Nutritionist and Natural Therapist. He was born and grew up in Germany and has held positions in medical institutions at the Universities of Greifswald, Cologne and Munich, working in research and toxicological investigations. He was Chief Forensic Chemist at Cologne and worked at Bio-Science Laboratories in Los Angeles. Walter Last is the author of "Heal Yourself", "Healing Foods" and "The Natural Way To Heal - 65 Ways to Create Superior Health", which is now available in e-Book and print form as "Heal Yourself - The Natural Way". He is the main contributor to the "Self Help Cancer Cure" book. He is a regular contributor to "Nexus" magazine and other publications. His latest books are the "Heal Yourself Series" of self-help handbooks which are available on this website. 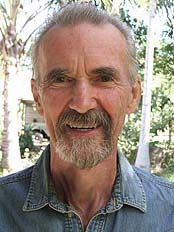 His other websites are: www.health-science-spirit.com, www.healing-yourself.com and www.heal-yourself.com.au. Walter Last has spent almost 40 years researching health issues. His knowledge is based on sound scientific principals and up-to-date information on the causes and 'cures' of diseases, especially the number of metabolic illnesses which beset society today. The author is constantly updating his articles and books as new research is carried out and new discoveries are made and his articles are regularly featured in NEXUS magazine worldwide as well as in various other publications.The main objective of these books is to increase each individual's knowledge of the functioning of their own bodies and the gradual transition to a more healthy state with the use of natural therapies. This is of benefit in helping to avoid various drugs, many of which merely 'mask' the illness.These methods have been proven to be extremely effective for a great many people. Of course, this is not the path for everyone, as it takes dedication and patience. This is different to normal drugs which work almost instantly to relieve symptoms, but which do not necessarily cure. The aim is to bring the body and the immune system back to a state where a 'cure' follows as a natural consequence. Naturally, for any serious disease, or if you are unsure of a particular course of action, seek the help of a competent health professional.